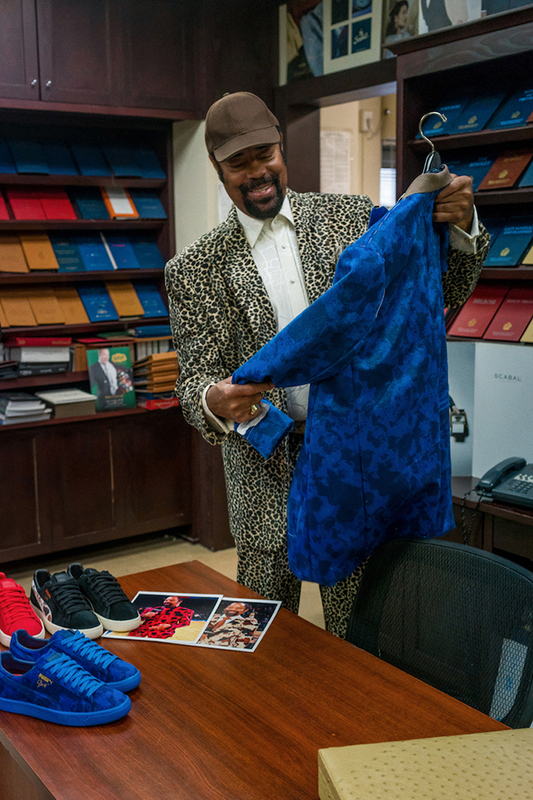 A fashion icon both as a player and as a television personality, Walt “Clyde” Frazier’s sense of style is one of the most recognizable in the world of sports. 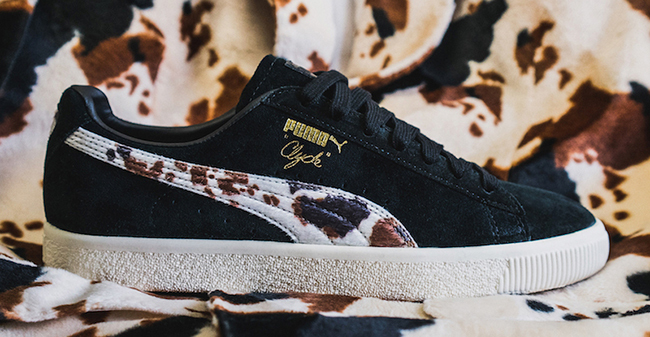 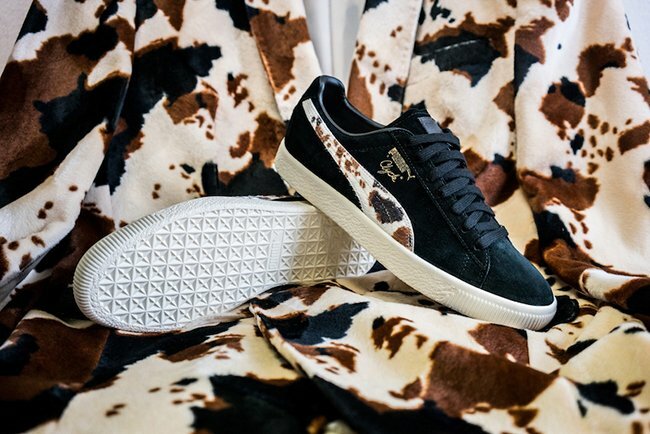 Inspired by his fashion, Packer Shoes and Puma have teamed up to release the Puma Clyde ‘Cow Suits’ Pack. 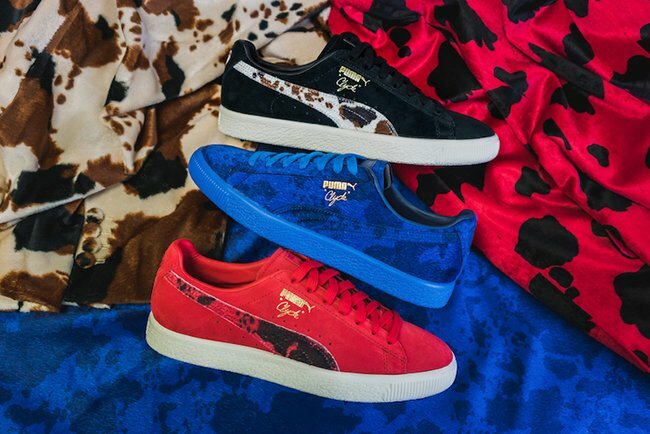 Three colorways of the Puma Clyde in connection with Packer Shoes will release. 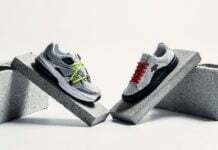 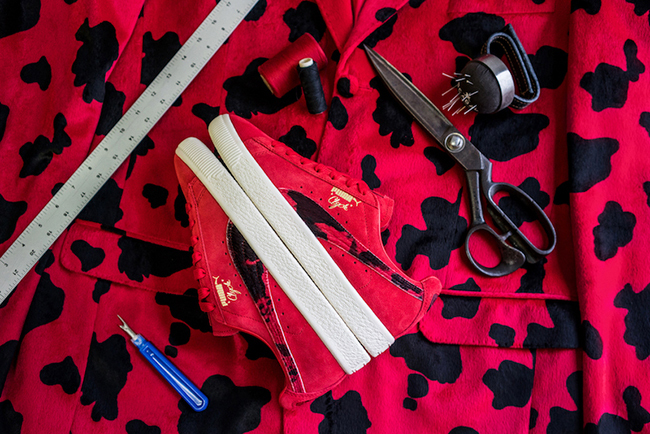 The Black and Red pairs comes constructed with plush suede across the uppers, faux fur cow print on the Formstripe and sockliner while Gold branding is seen. 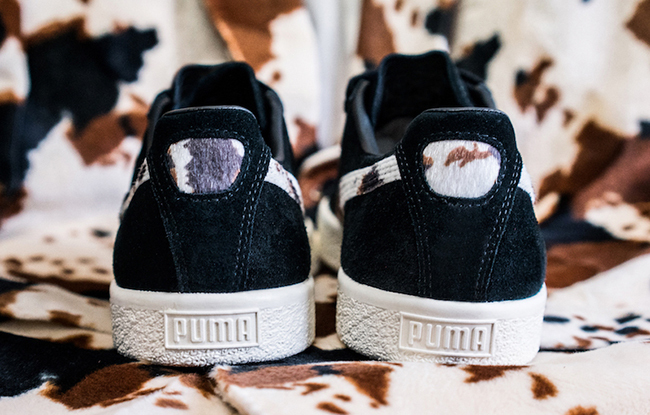 A premium leather tongue label, Milky White sole and Gold branding throughout provide the finishing touches. 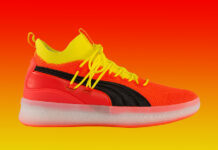 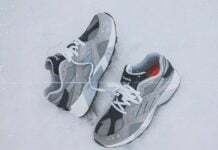 Also releasing from Puma and Packer Shoes is an exclusive Friends and Family pair. 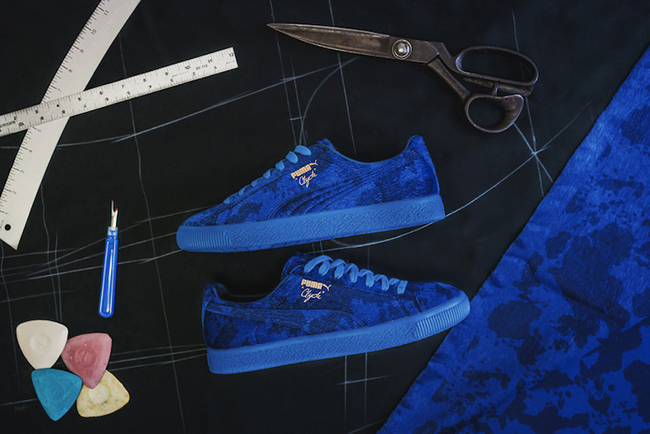 This pair is decked out with an all faux cow hide upper dipped in a Deep Royal Blue and complemented with Gold accents and an Orange cow print sockliner, all paying homage to Clyde’s longstanding impact on New York basketball. 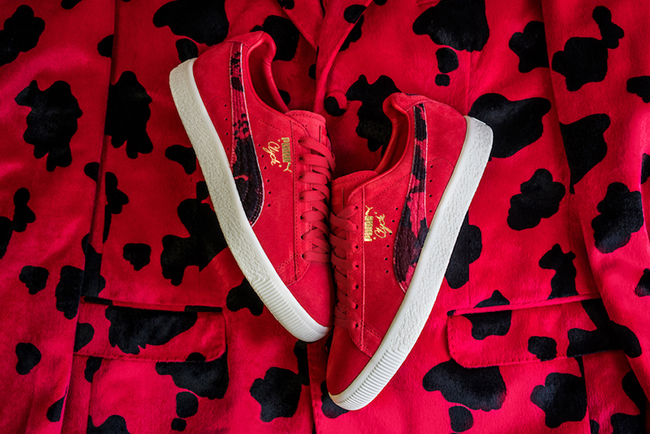 The Packer Shoes x Puma Clyde Cow Suits Pack will release on Friday, March 31st at noon in-store and online. 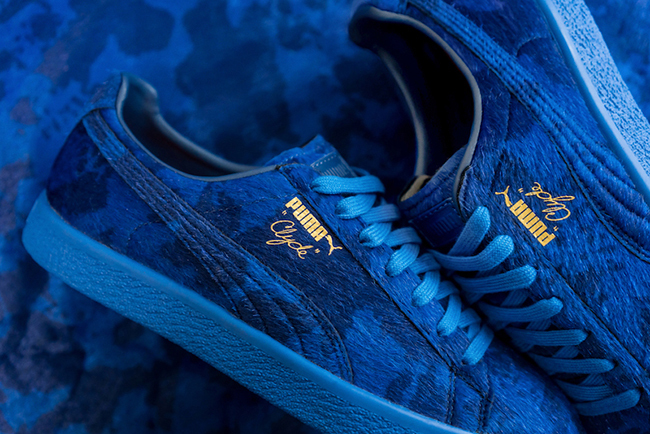 The ‘Blue Cow’ will be limited to 73 pairs paying tribute to the ’73 Knicks. 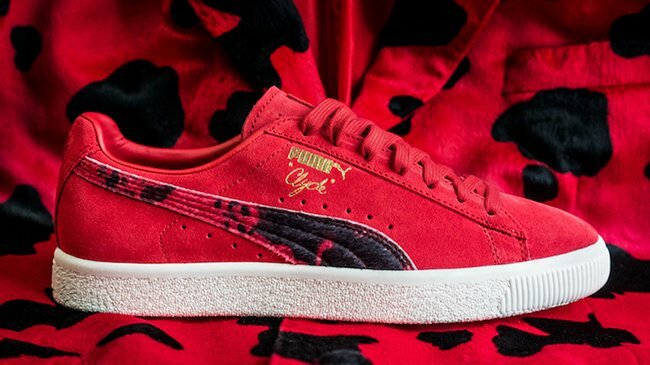 On Wednesday, Clyde will be given a matching suit from Puma, Packer and his taylor Mohan in the same materials as the Clyde for his birthday.